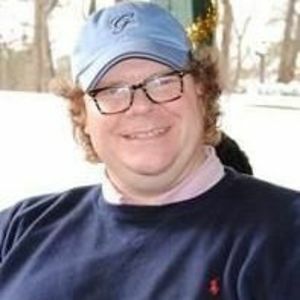 William Reed Raynor III passed away Wednesday, December 6, 2017 at the age of 43 after living a life full of compassion and love. Will was born May 8, 1974 in Ahoskie, North Carolina. He grew up in Chapel Hill, North Carolina where he spent his childhood climbing trees and developing his extensive knowledge of history and music. He was a member of Chapel of the Cross Episcopal Church and was often found afterwards running around the Coker Arboretum. He attended the University of North Carolina at Chapel Hill and was born and bred a TARHEEL! While history, music, and literature were very important aspects of Will's life, his greatest joy and love in life were his lovely wife, Millie, and his precious twin daughters, Watsie and Reed. There was no prouder person of his family than Will. There was not one day that he neglected to share stories about them! He reveled in teaching both Watsie and Reed about music, history, and gardening. He loved going to Watsie's games and watching her rock climb. He took great pride in being the loudest sideline cheerleader. He loved attending ballet recitals for Reed and he was full of pride for the paintings that she created. He would be the first to say that Leonardo da Vinci had great competition. He treasured the time that he and Millie spent together nurturing their marriage. He was predeceased by his grandparents Sarah Moore and William Raynor, Alice Cheek Faulkner, and Clarence Cheek. In addition to his wife Millie Payne Raynor and their daughters Elizabeth Reed Raynor and Ann Watson Raynor (Watsie), he is survived by his parents Reed and Leigh Raynor; his sister Elizabeth (Lee) Singleton; his in-loves Cathy and John Payne; his sister-in-love Libby Perry; and his beloved nieces and nephew Corte, Bowen, and Raynor Leigh. A private burial will be held at Oakwood Cemetery, Raleigh, North Carolina. A celebration of Will's life will be held on Monday, December 11, 2017, at 3:00 p.m., at White Memorial Presbyterian Church, Raleigh, North Carolina. The family will receive friends following the service in the Jane Bell Gathering Space at White Memorial. In lieu of flowers or gifts, the family has requested that donations be made to The Hill Center. Online donations may be made at www.hillcenter.org/donate under the designation select other and write "In Memory of Will Raynor." Checks may be made out to The Hill Center with "In Memory of Will Raynor" on the subject line and sent to 3200 Pickett Road, Durham, North Carolina 27705. Arrangements by Brown-Wynne Funeral Home, St. Mary's Street, Raleigh, NC.